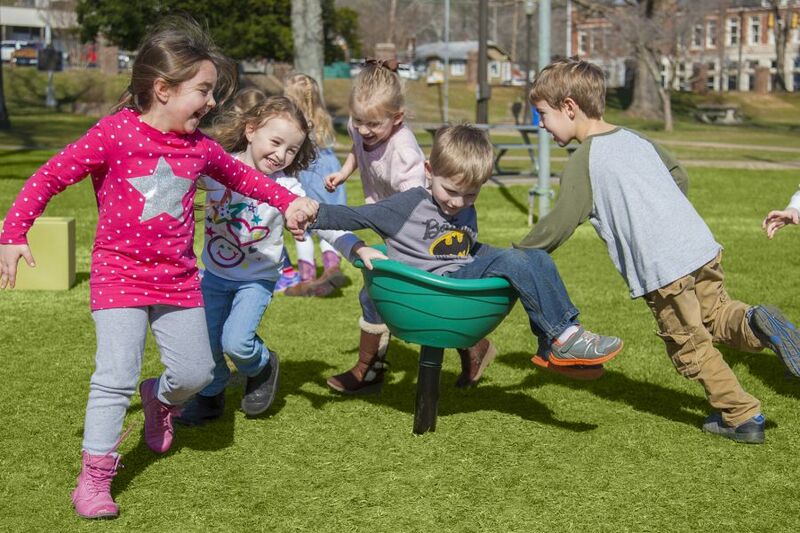 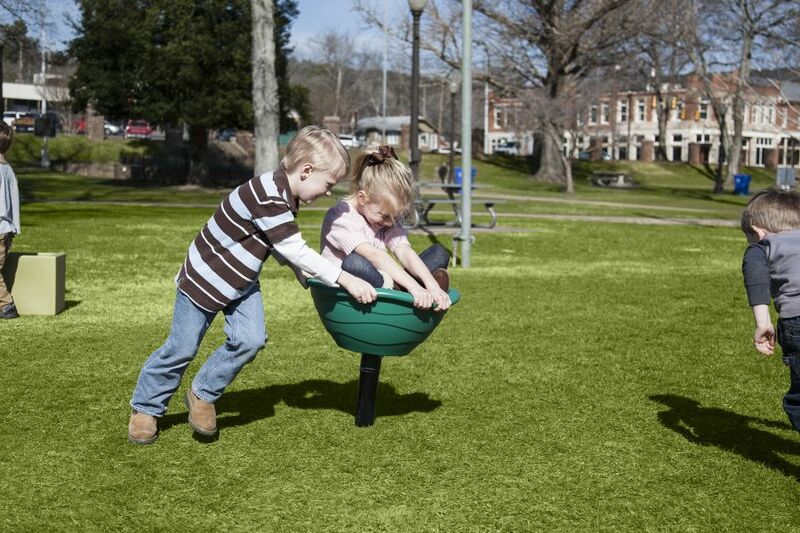 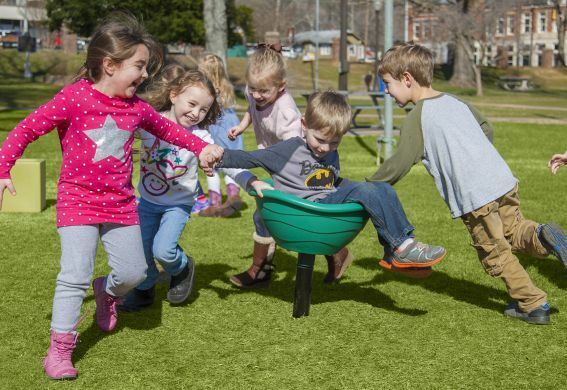 The Whirl & Twirl spinner bowl encourages social interaction as one child rides while the other spins them around. 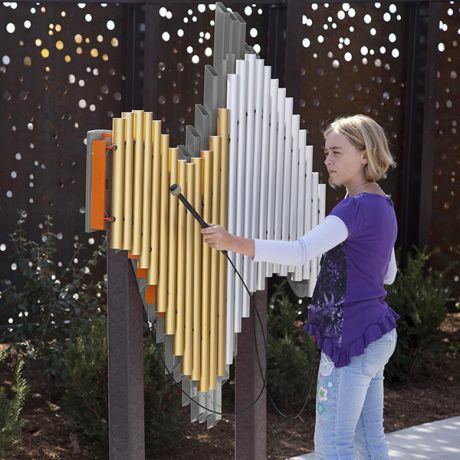 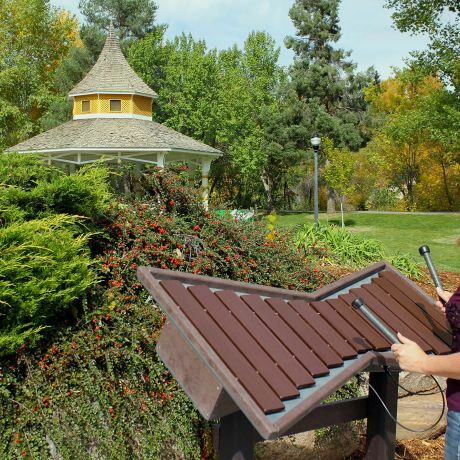 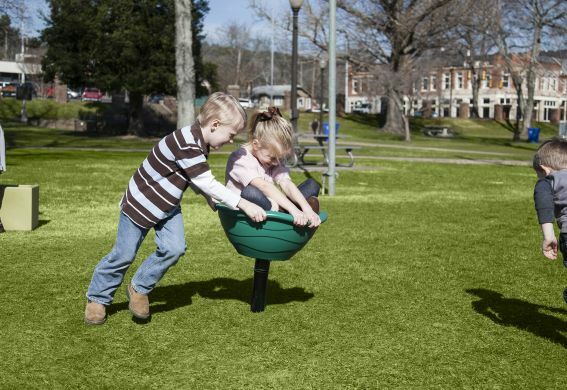 The tilted design increases spinning momentum, and helps individual children use the product without having another person spin them. 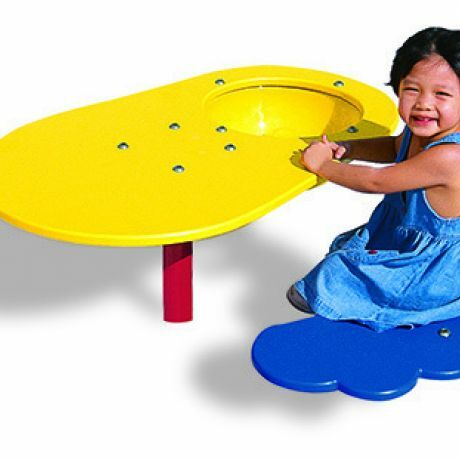 Drain holes help prevent standing water, and the rounded lip allows children to hold on during use as well as aiding in transition in and out of the bowl.